In the movie Pitch Perfect 3, after the highs of winning the World Championships, the Bellas find themselves split apart and discovering there aren’t job prospects for making music with your mouth. But when they get the chance to reunite for an overseas USO tour, this group of awesome nerds will come together to make some music, and some questionable decisions, one last time. Pitch Perfect 3 arrives in theaters just in time for Christmas 2017. Oh. And guess what? There is going to be a Fat Amy spin-off with Rebel Wilson. 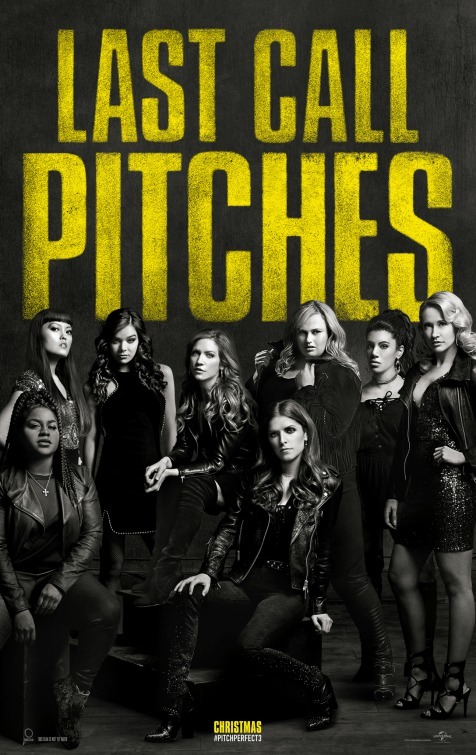 The first Pitch Perfect was released in 2012 and took in $65 million at the U.S. box office. Pitch Perfect 2 arrived in theaters in 2015 and grabbed $184 million at the U.S. box office. Will Pitch Perfect 3 earn somewhere in between the first two films in the series, or eclipse the box office returns of the second film in the series?